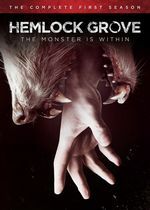 Hemlock Grove: Mystery and Suspense on Television. This Netflix original series is based on the novel of the same title by Brian McGreevy and follows the investigation of a young girl brutally murdered in the Pennsylvania steel town of Hemlock Grove. All 13 episodes of the series were available to stream on its premiere date in April 2013.